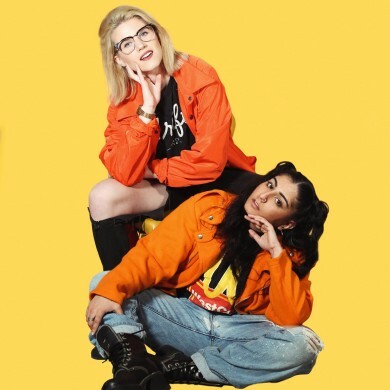 Just in time for summer, scene queen Internet Daughter and globe trotting MC Chippy Nonstop team up on Toronto’s always reliable Bedroomer Records for a sassy bit of highly polished pop music with Chippy flipping the usual gender roles in trap music on their head and calling out her stable of disposable boytoys. Like pouring 5 different kinds of candy into your mouth at once, this genre hopping track is funny, flirty and backed by a killer future bass beat. Destined to be on repeat all season long, this one’s available now on Spotify, iTunes and for sale on Bedroomer’s Bandcamp.